Summer brings lots of new opportunities to catch up, but probably one of our favorites is a night with the girls… Cue: panicky text messages back and forth “what are you wearing”. Today I have you completely covered. I don’t know about you, but I have slowly been getting into the spirit of Christmas, summer and party season. This time of year is my favourite!! While I am a big fan of a girls night in: cue bad, romantic movies, chocolate and wine I love getting dressed up and spending time with my girlfriends even more. Girls nights out are where stories are made, but never told. 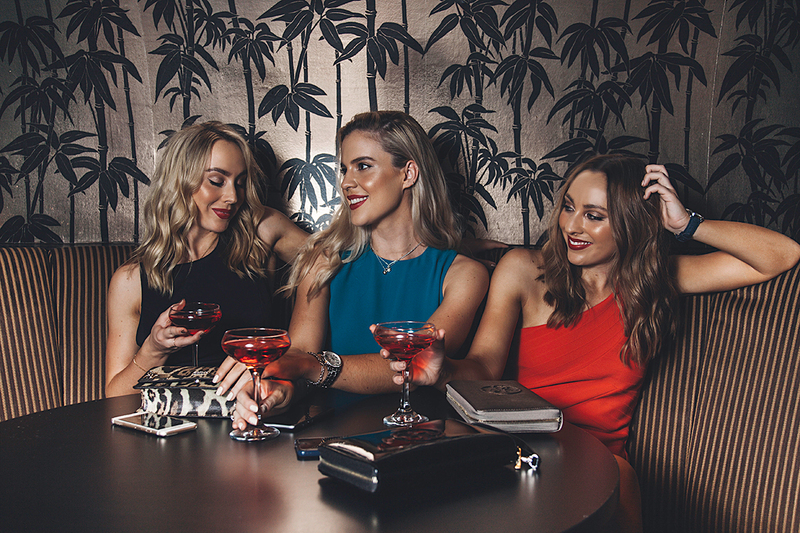 So what do you wear to look pulled together and not overdone on a girls night out? I know what it’s like to stand dumbfounded in front of your closet for 20 minutes (read: an hour) hating your clothes right before you’re due to meet your friends, so today I am sharing my tips, in partnership with GUESS, for styling the perfect outfit for a girls night out. I styled two looks with GUESS and my friends Nicole and Danielle from When Words Fail have also styled two looks for you today! Our two looks encompass what we feel to be on trend and effortless pieces for a girls night out. Think bandage dresses, sequins, statement heels and leather. My first look I want to show you today is a stunning white dress and statement heels. I love this dress as I think a girls night out dress shouldn’t be anything formal or too over-the-top. A dress like this is perfect as it shows your figure and has a sophisticated vibe. My second look I went for a pair of sequined shorts and dressed around them. I think they’re a fun alternative for a girls night out as my style leads towards a tomboy edge. When in doubt go for a monochromatic color palette. A simple silhouette like my white dress above is perfect – the lace detailing adds texture and personality.I think a LWD is the perfect substitution for black or navy, especially for Summer. For a Summer look I suggest adding a pop of colour to break up the outfit. Shoes are the perfect way to do this! I love the blue statement heels I styled above. They have extra padding in them as well which is perfect for dancing! An old look is easily re-invented with statement jewellery or cute clutch. I always love buying bags or clutches I can also use in the day like the one I styled with my white dress. I hope these tips help you out this weekend with lightning-fast outfit-assembling!